Was I too harsh on the president? In the week since my story on “the unnecessary fall of Barack Obama” came out, I have been accused of being “hysterical” and “ahistorical,” of glorifying Ronald Reagan, of “moving away from” my “previously clear-eyed stance on the primary source of Obama's troubles,” and of relying on the same “white-working-class Theory of Everything” I have been “peddling … ever since summer 2008.” And that’s just in public. Privately, the criticism has been far more withering and has included words far too incendiary to print in a family magazine. But I’ve spent a lot of time considering some of the (quite thought-provoking and reasonable) counter-arguments to my piece, and I’d like to take the opportunity to respond to them here. 1. You shouldn’t be encouraging populism. Or you are wrong to make populism the answer or the main answer to Obama’s political difficulties. I don’t consider myself a “populist.” I am much more of a Herbert Croly-progressive with a touch of elitism. I wasn’t arguing for populism as a political ideal, but as the means by which Obama could have more plausibly achieved objectives that he, and I, and many Americans share: a return to a buoyant prosperity, a narrowing of inequality, and the reinforcement of the social safety net. To achieve these during the present severe downturn requires strong political majorities. And to get those, Obama—or any president—has to frame his appeal in populist terms. I am not making the ridiculous assertion that populism is “hardwired” into the American brain. But in the course of American history, certain conceptions—or worldviews—have been passed from generation to generation, and insofar as they have not been repeatedly contradicted by events, have endured. One of these, for instance, is what historian Ernest Tuveson called the idea of America as the “redeemer nation.” When Americans have had to make hard foreign policy choices, the politicians have invariably appealed to America’s role as world savior. Another is Thomas Paine’s idea of government as a “necessary evil,” which invariably pops up as an explanation for our economic ills. Populism—as a defense of the embattled middle class—is a similarly enduring worldview. Populist arguments don’t always carry the day, but during domestic crises, they will be heard, and politicians ignore them at their peril. Mike Kazin, who wrote the definitive book on populist rhetoric, suggests that I am exaggerating the role of populism in Franklin Roosevelt’s success in his first two years. I disagree with Mike on this point. One can compare what Roosevelt said and did in his first months with what Obama said and did. Obama waited a year before pressing for financial reform. During Roosevelt’s first months, he helped banks survive, but he also pressed immediately for policies that reinforced his populist message. He got Congress to pass the Glass-Steagall Act, which split off commercial from investment banking and established the Federal Deposit Insurance Corporation, and the Securities Act, which set the stage for the creation of the Securities and Exchange Commission. Roosevelt made it abundantly clear that he was on the side of Main Street not Wall Street. Obama did not. Mike also suggests that Obama’s troubles did not stem primarily from his neglect of populism, but from his unwillingness or inability to develop a new vision that would justify the larger role he assigned to government. I don’t disagree with Mike that Obama needed to promote this kind of new progressivism. That’s what Obama was trying to do with the “new foundation.” But it’s not easy to do so in America because of how prevalent the anti-statist worldview is. A populist appeal—and a clear statement of the extreme danger America faces—is the prerequisite to putting forth a new politics that includes a wider role for government. Let me put it this way: Faced with crises, people tend to look backwards for solutions. In Europe, that often means back to an age when government was more rather than less powerful. That’s why fascism found fertile soil in Depression Europe. In the United States, people look back to a past where the government was far less powerful. And that’s why it is so difficult to get across a politics that includes a larger role for government. Americans have to see an increase in government power as the only means to combat a far greater evil. 2. You exaggerate Obama’s political difficulties. Or you exaggerate the degree to which Obama—and not an inevitable economic downturn—is responsible for Obama’s difficulties. As I said in my piece, and charted in another piece last fall, presidential approval can be expected to fall in tandem with a rise in unemployment and a decline in personal income. But as Jay Cost of Real Clear Politics has argued, it’s still question of how much presidential approval, and a party’s political prospects, will fall. In August 1982, Yale political scientist Edward Tufte, who pioneered the economic theory of elections, predicted that the Republicans would lose 45 House seats. By November, the economy had continued to decline, but the Republicans lost only 26 seats and broke even in the Senate. One reason the Republicans cut their losses was because Ronald Reagan and his White House advisors developed a populist narrative that they repeated from January to November urging voters to “stay the course.” While Reagan remained somewhat unpopular, his relentless campaign convinced a majority of voters that his policies would eventually work. Obama has not developed a narrative; and as a result, voters have far less confidence in his economic policies than they did in Reagan’s. That could make for a big Democratic defeat in November. But let’s suppose that the Democrats lose 20 rather than 40 seats in the House and three rather than seven in the Senate. 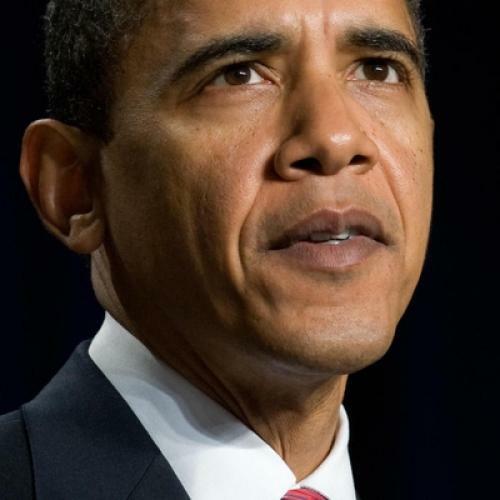 Will Obama have then achieved political success as president? That would be true if Obama faced the same kind of challenges as president that Reagan or Bill Clinton did; but he faces challenges much more similar to Roosevelt. In order to meet these, a president would require the same kind of majorities that Roosevelt enjoyed. The recession of 1981-82 was severe, but as economists recognized at the time, it was merely a deeper dip than usual in the business cycle precipitated by the Federal Reserve’s attempt to halt double digit inflation. Today’s “Great Recession” is much more similar structurally to the Great Depression of the 1930s. The similarity lies not just in the precipitating role of a financial crisis, but in the downturn’s global reach and its longterm national and global impact. As Richard Florida has suggested, the Great Recession is going to reshuffle the deck the way the Great Depression did. It will change the nature of production, how and where people live, and it will alter global balances of power. What the government does during Obama’s presidency will dramatically shape how the country fares in the future. To restore employment, the government is going to have spend, and run greater deficits. To promote a transition to a green, post-industrial economy, it also is going to have to spend—and do so wisely. An electronic smart grid and high-speed rail—to name two of the kinds of investments widely believed to be necessary—would run in the hundreds of billions. And it will also have to tackle the global economic order, as Richard Nixon did in 1971. But if Obama and the Democrats lose seats in November, they are not going to be able to meet these challenges. It won’t be like Clinton and the Democrats losing the Congress in November 1994. At that time, the economy was already beginning to surge on its own. If Obama can’t move the country forward, it is going to move backward. The administration may even be forced to accede to the kind of Republican regressive tax cuts and deregulation that earlier wrecked the economy. So, viewed from the challenges that the country faces, it is not enough for Obama to lose only 20 House seats and three Senate seats. He needs to maintain, or even expand his majority, as Roosevelt and the Democrats did in 1934. Any loss in seats will potentially paralyze his administration. Is this asking the impossible? Perhaps now it is, but in January 2009, the Democrats’ prospects were very favorable. Democrats were going to be defending 17 seats and the Republicans 19 in the 2010 Senate elections. By my own estimate at the time, the Democrats were poised to increase their margin by two or three seats. That would have created a filibuster-proof majority. To get that majority, however, Obama had to be as bold and as politically attuned as Roosevelt was in 1933. He was not. There were many reasons why, but as a result, Obama and the Democrats—and the United States of America—find themselves in very dangerous waters. Think for a moment of what would have happened to Roosevelt’s New Deal, and to America and the world, if Roosevelt had restrained spending in his first years as he did in 1937-38 and if the Democrats has consequently lost as many seats in 1934 as they did in 1938. When Obama took office, there is some evidence that he and his White House advisors recognized the extraordinary circumstances in which he was taking power—that they represented an opportunity for success, but also for abysmal failure. I don’t get that same feeling from them any more, especially with the departure of the resident Cassandra, Christina Romer, the head of the Council of Economic Advisors. What I hear instead is complacency about November 2010 with a focus on November 2012. Believe me, this is a huge mistake, and if my critical piece accomplishes anything besides making it even less likely that the White House press office will respond to my emails, I hope it is to disrupt this complacency in the highest circles of our government. 3. Yes, Obama made mistakes, but in comparing him to Jimmy Carter, you are forgetting that he has accomplished more in two years than Carter accomplished in four. As any grammar teacher will tell you, a metaphor or simile is not a statement of identity. The dawn isn’t really “rosy-fingered.” As my colleague Ed Kilgore notes, there are dramatic differences between Carter and Obama, but there is also a line of political descent from Carter to Dukakis to Gore to Kerry to Obama, all of whom had difficulty framing their message in populist terms. But what about Obama’s accomplishments, including national health care reform? The memory of Bill Clinton’s incrementalism seems to have obscured what is a persistent fact of American politics: the presidency is an enormously powerful office. Many of our presidents have been extraordinary bold and can be credited with enormous legislative and international accomplishments. Leave aside whether you agree with what they did. Think of Wilson, Roosevelt, Truman, Johnson, Nixon, Reagan, and George W. Bush. So there is nothing unusual about a bold president. The question about Obama is whether, giving the circumstances of this recession, he was bold enough. And the evidence so far is that he was not. In a column last January, I compared Obama to Herbert Hoover. Okay, he was not from Iowa, nor trained as an engineer, but like Hoover, he could have his really significant accomplishments overshadowed by his inability to manage America’s successful transition out of the Great Recession. Who remembers now that financial reform and government spending to create jobs started with Herbert Hoover?